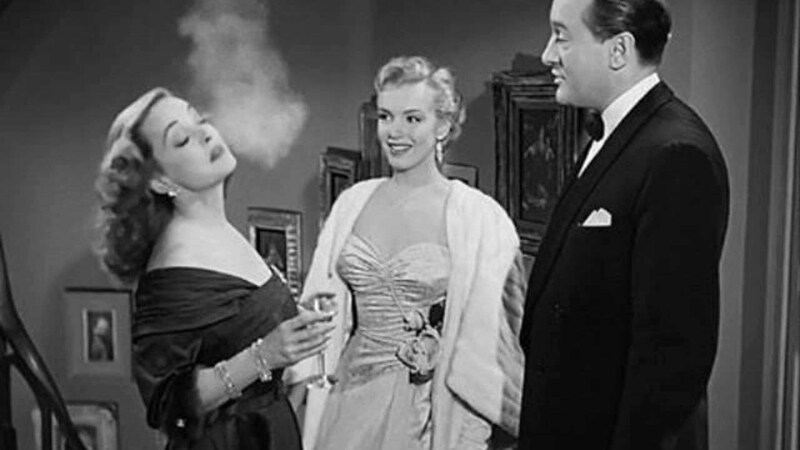 In our continuing series of 47 films to see before you are murdered in your dreams, we present the acidic and hilarious All About Eve. All About Eve is a delicious satire on fame, a kind of Sunset Boulevard – which was released the same year – for the theatre. Betty Davis plays the celebrated diva Margo Channing. The actress has reached the age where she can credibly play the young roles with panache. Enter Eve Harrington (Anne Baxter); the swooning mega-fan ushered into the presence one evening. She wins over the jaded theatre types with her tale of honest woe. Before you know it, she’s the factotum and best pal of Margo. But things sour when Eve herself gradually reveals her own ambitions on the other side of the curtain. The sharpness of the dialogue written by director Joseph L. Mankiewicz reaches Wildean (both Billy and Oscar) in its acidic burning of egos. The ensemble cast are towering. George Sanders is the rascally theatre critic Addison deWitt who Svengalis Eve towards fame with serpentine charm. A cameo by a young Marilyn Monroe fairly burns a cigarette hole in the celluloid. My favorite is Thelma Ritter’s Birdy, Margo’s waspish dresser. But the film obviously belongs to the two female leads who go from affection to a smouldering hatred which never actually gets a cathartic blow out on screen. It’s ironic that despite their brilliance both joined relatively late in the production. Davis turned up practically at the last minute. Just as Sunset Blvd delivered a fond kick in the pants to the silent era, so All About Eve sees theatre as the waning beauty overtaken by the young brash newcomer cinema. Hollywood represents an elsewhere to which everyone aims. The presence of the soon to be mega famous Monroe haunts the film like Banquo’s ghost.